Sassy, snarky Viola Roberts quit her boring accountant job to pursue her dream of writing novels, even if it meant eating ramen noodles every day. Now that her career has taken off, she's headed to a writers' conference at an exotic Florida resort complete with white-sand beaches and swaying palm trees, where she plans to lounge in the shade drinking frosty beverages with little umbrellas. And, of course, no sojourn to tropical climes would be complete without her boozy, wise-cracking best friend, Cheryl. Viola Roberts is at it again! The sleepy seaside town of Astoria, Oregon is the last place you'd expect to find a dead body. That is until the director of the local museum turns up dead in the study and Viola's friend, Portia, is accused of the crime. 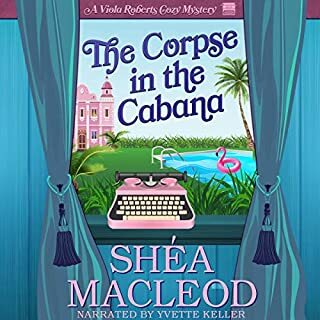 Viola ignores her looming deadline and bout of writer's block and sets out with her best friend, Cheryl, to solve the murder. From starting riots at local dive bars to breaking into crime scenes, Viola will stop at nothing to prove Portia innocent even if it means putting herself in the cross-hairs of the killer. 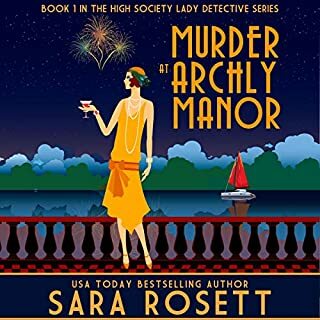 I once again really enjoyed this humorous, cozy mystery in the Viola Roberts series. Viola would be such a fun friend to have but she does seem to manage to get herself (and her friend) involved in some dicey situations. 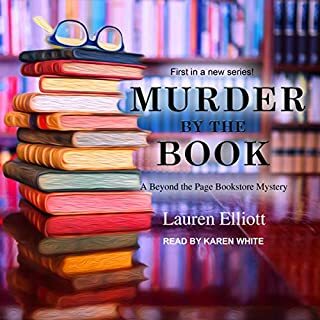 This is a great murder mystery with twists, red herrings, hints of romance and lots of humor and wine. 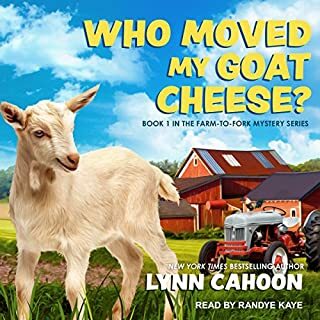 It has a great cast of characters and the narration on the audiobook is excellent, she really shows the humor in the story well. This is a fun read that will keep you guessing until the end. Have you listened to any of Yvette Keller’s other performances before? How does this one compare? I have listened to some other books with Yvette Keller's narration and this one is just as good. She does a lovely job and brings personality to the characters. 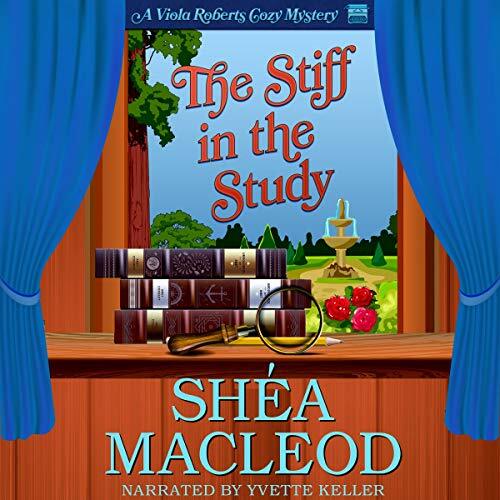 This is the 2nd book in the Viola Roberts Cozy Mysteries but it can stand alone. I found this story to be just as much fun as the first. Viola Roberts is a historic mystery writer whose friend is arrested for the murder of her lecherous boss. The bumbling police force cannot be trusted, so it is up to Viola to prove her friend is innocent. There are many interesting characters, some who are hilarious. I suspected a few of the characters, but I guessed wrong! I look forward to the rest of the series! This book calls itself a cozy mystery. I call it a return to nostalgia. I was looking for a great dane throughout the book. An amateur detective with a group of friends gets stuck in the middle of a mystery. From the description of the main character I was seeing in my mind's eye "Velma Dinkley" the entire time. The narrator's voice is soft and intellectual, and seemed almost as if this book was written for the voice itself. It reminded me of Velma Dinkley (Scooby Doo) or the voice they use for the Nancy Drew Video games of which my sister is a connoisseur. Thus my brain kept expecting a "Jinkies" (Velma) or an "I'm on the case!" (Nancy). I'm hoping to get my hands on the next installment, if only to hear that voice again and go seeking for the words that my brain keeps crying out to hear. Also, there usually comes a point when amateur detectives are accepted (usually grudgingly) by the police. I want to see if or when or how long it takes with this series. I wonder if Viola Roberts is taking applications for more friends because I want to apply! I do love a heroine that understands the importance of wine and food. She is also just a lot of fun to be around. In this book, Viola is out to prove her BFF is innocent of murder. Her methodology is both ridiculously simple and ingenious – things that always work when trying to solve a crime in a small town because there are always secrets and someone always knows something; it’s just a matter of how you go about obtaining that information. Viola’s detection methods at times hamper official police efforts but what’s a woman to do when they choose to treat her as an annoyance? And in my eyes, it’s Viola that seems to be doing the better job. The mystery is ultimately solved in a believable manner. A couple of loose ends remain unresolved but nothing to hamper the credibility of the story. 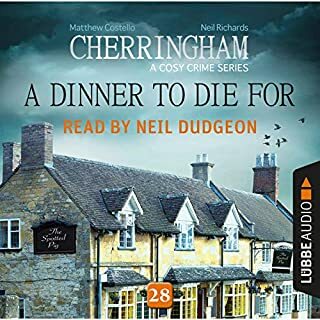 Yvette Keller does a great job with the audio; Viola, her friends, the exasperated detective and other characters are narrated very well. I was engaged from the start all the way to the end. I received the audiobook in exchange for an honest review. Some spoilers. I quite enjoyed this book. The characters were funny, and smart, and the author kept me guessing until the very end. The main character, Viola, is a romance writer who gets caught up in a murder. Her friend is accused of the murder and Viola is determined to prove she had nothing to do with it. Add a cop who Viola does not think is doing his job correctly and mayhem and mystery ensue. However, I really enjoyed the book, I found it well done and humorous. Simple and enjoyable. 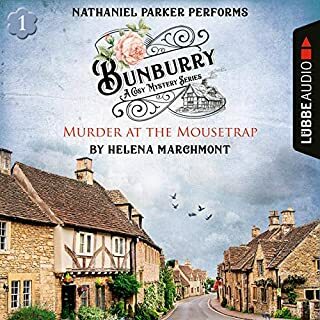 I'm not too worried about inconsistencies or re-use of phrases and words, therefore I found it fun to follow along with the narrator's smooth and energetic voice.